Equity markets are currently experiencing some volatility. 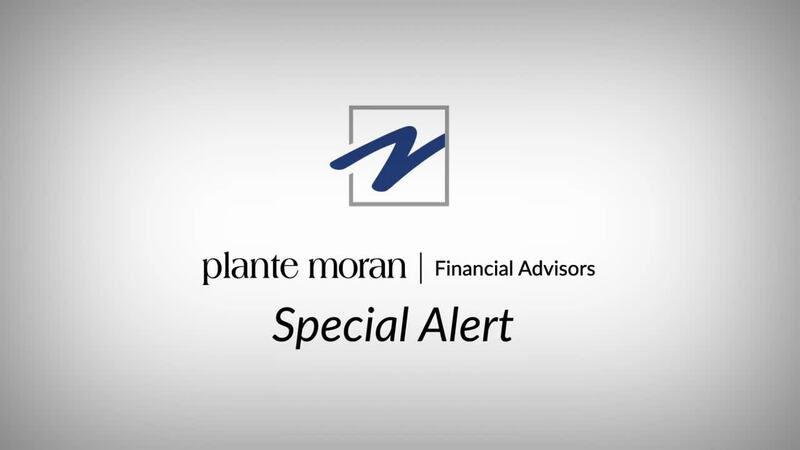 Plante Moran Financial Advisors’ Chief Investment Officer Jim Baird provides context on impacting factors and our view on long term strategies. For the second consecutive trading day, global equity markets exhibited a high degree of volatility today. The S&P 500 opened sharply lower and was off nearly 3% at its lowest point mid-day before rallying into the close, finishing the day nearly unchanged. No single catalyst appears to account for the recent surge in volatility, but a number of factors likely played roles. Investor anxiety has risen in recent days, as concerns about the state of the economy and a lack of clarity around the current state of trade negotiations with China have been exacerbated by recent developments. We continue to believe that a broad swathe of economic data still paints a relatively positive story. Yes, growth is slowing, but recession risks still appear to be low. While recent volatility today can be unnerving, attempting to make meaningful investment decisions in response to (or anticipation of) short-term developments is ill advised. Investors are well served to look through the current risks, maintain a long-term perspective, and stay the course with their investment strategy.